The Order of Thelemic Knights is an organization of Thelemites who hold two things as imperative to the promulgation and acceptance of the Law of Thelema. These two things are Nobility of Character and Service. We feel that these ideals are best epitomized within the “Warrior Traditions” that can be found in nearly every culture around the globe. By researching these traditions and recasting them within the Thelemic paradigm, we mean to re-instill the realization of Humanity's inherent nobility and cast Thelema as a valid philosophy for the basis of a strong society. The OTK teaches nobility and honor. 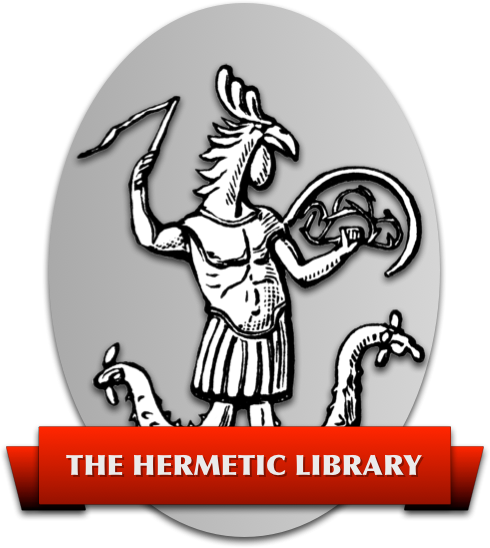 The principles are summed up in a document entitled "The Eleven Thelemic Virtues". These virtues are Valor, Nobility, Discernment, Pride, Compassion, Fidelity, Passion, Strength, Discipline, Self-Reliance and Hospitality. The similarity between these and the Nine Noble Virtues should be readily apparent to any familiar with Northern Paganism. Each one of these virtues was selected for its applicability in strengthening the individual, and the individual's society. To achieve this we examine societies of the past, see how they acted towards these virtues, and emulate their example, as may be applicable within the confines of modern perspectives and a Thelemic world view. Also, the Order teaches inner and outer strength through service and charity. Membership in the Order of Thelemic Knights is available to all men or women of full age who agree with the principles and philosophy espoused by the Order. Further, the aspirant must find a Knight to sponsor him or her as a Squire within the Order of Thelemic Knights. There is also a financial obligation, as well as a commitment to study and practice the curriculum of the Order. For those who do not wish to formally commit themselves to the Order, there are a myriad of other methods available to show one's support for the Order of Thelemic Knights. This is detailed on our web site. Might I say that this certain structure of Thelemic Knights brings to memory a number of similar movements of the past. It is an interesting concept, one that I feel works quite well, in a natural warrior tradition. And noticing just today of the revolutionaries of the Albanians in Macedonia how they are fighting to change their world (this concept seems all the more self-evident). I'd be interested in learning if the Order of Thelemic Knights are involved in any political actions, besides the clearly mentioned charitable works? I would tend to think that this “Solis” is probably a different fellow from the OTO member who has long posted under that name, but perhaps not. I'd be interested in knowing more about the sorts of charitable works undertaken by the OTK, to the extent you can share that kind of info. What exactly is the purpose of making this society invitation only? You will have a hard enough time finding people as it is. Even the most cursory perusal of OTO constitutional papers cannot fail to include notice of the chivalric component in the Lover Grade Degrees. One might object that the chivalric basis for OTO is Masonic faux-knighthood, but I fail to see a more profound legitimacy in OTK. This observation is not meant as an objection to OTK or its program, which seems worthy. The claim of priority is unfounded, though. My respect and good wishes to the OTK. It is heartening to see that some individuals choose to incorporate chivalry and charitable work into their Thelemic world view and if they see fit to found an Order based on these principles, then they are perfectly within their rights to do so. In my view, many Thelemites place far too much emphasis on 'exceed exceed' and not enough on 'be goodly therefore', don't get me wrong, I don't seek to moralise, but if Thelema is to exert the influence on society that it rightly deserves to, charitable acts will serve to help diffuse the 'Satanic' stigma attached to anything Crowleyan. It is also my view that the study of the martial arts would be extremly useful to all able bodied individuals working within the Thelemic paradigm, I myself have been for some years a student of the ancient Japanese art of Ninjutsu and have found that participation in such an art teaches respect for others and oneself, whilst reinforcing the idea that true initiation can only be achieved through hard and often painful work. So what if the OTK seeks to use Feudal titles - an order has to have some form of classification and if members of the OTK are engaged in earnest study of the Warrior Arts, then why not use military terminology? Good luck to the OTK, after all, the state that the OTO appears to be in, engaged as it is in law suits and arguments over claims to be the 'real' OTO, is it any wonder that other Orders are springing up to attract those Thelemites who would rather put some hard work in, rather than bitching endlessly on the internet about spurious claims to lineages?